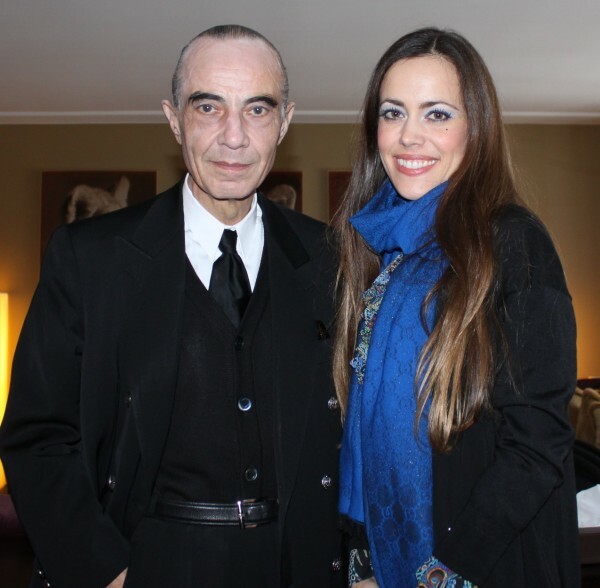 Meet Serge Lutens, the genius behind the eponymous fragrance and cosmetic label, launched in 2000. 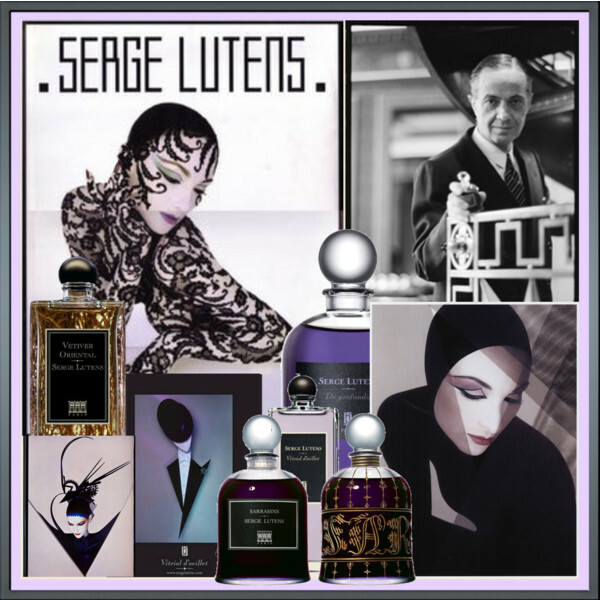 Mysterious, captivating, charming, Serge Lutens talks freely and poetically. His appearance is sylphlike as a dancer, there is something magical about him. He has cast a spell over me after a few seconds. Born 1942 in Lille, France, he started his career as a makeup artist and worked for Vogue along with famous photographers such as Richard Avedon and Irving Penn. Monsieur Lutens, as his assistant addressed him constantly during our interview, established the first cosmetics line for Christian Dior in 1967. His series of photographs that he took in the ’70s were even shown in the Guggenheim Museum. In the ’80s, Shiseido hired him as Creative Director. The famous Salons du Palais Royal Shiseido, conceived and designed by the perfume genius in 1992, are described by him as “more of a refined salon for perfumes than a boutique”. There you can shop his exclusive line of fragrances. I am a huge fan of his perfumes. 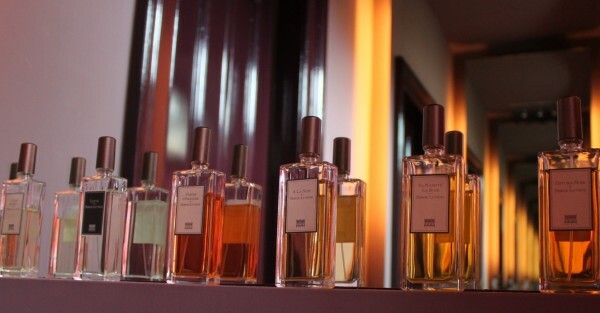 Here you see my very own Serge Lutens collection. Un Bois Vanille is one of my favourites. We spoke French during the interview and I have to admit that there is something so magical about his French language that any attempt to translate his answers into English almost fails to fully capture their essence. I hope that you will still get to the bottom of his universe. What would your mother say about you? Your first memory concerning perfume? It is not an actual perfume, it is more a culmination of things. At the age of 7, your olfactory sense is completely developed. After that, you only rediscover. When you go out, how much time do you need to get ready? What was the topic of your last dinner-table conversation? This was too long ago that I could remember it. The bookstore Librairie Galignani, 224 rue de Rivoli, 75001 Paris. I shop there every time that I am in Paris. Your most expensive piece of art? I am not attached to expensive goods. Art is decoration for the house. What was the first desire you ever felt? Never to rest, always to exceed my own expectations. It is better that they don’t know. It is always empty when I am leaving Morocco and when I am coming back, filled to the brim. Who is for you the most impressive person in history? It mostly only one part that impresses me, so that I couldn’t name just a single person. Are you subscribed to a newspaper or magazine? No. I am changing my preferences too fast. There is nothing I could think of. I could say that I would like to be a great dancer or singer, but that wouldn’t make any sense. I was just not born under that star. You live in Morocco. How does it smell? The scents of Morocco inspired me to do perfumes. It was no choice. Now, I don’t use those ones so much anymore. I will always use classic and natural ingredients. But I don’t have one favourite. Would you ask a poet which ones are his favourite words? It is similiar. The ingredients are like senses, they will tell you something. You just have to translate. It is like a composition. Now you have changed your way of perfume. The new L’Eau Froide smells fresh and is along with your first L’Eau from 2010 completely different from your other previous creations. Why? Yes, you are right. It is a wonder of pureness. A shock. It is the essence of my life. Some journalists called L’Eau de Serge an anti-perfume. Does it bother you if people analyze and judge your creations? No, not at all. It is not mine anymore. It is over. I created it, but once it is done, it doesn’t belong to me anymore. Do you have somebody or something in mind when creating a perfume? I always think of something. The creation is passive, not active. You are in there. It is like a passion. It takes you on a journey, you have no choice. The real partner is the perfume. It lives and gives you the answer. You are at its demand. You have to forget the „you“. Do you listen to music when you create? No, those are two different things. When I am listening to music, I am listening to music! I am in it, that is unique. Music is so important. But I hate this overdose in our days. Music is everywhere, in the restaurant, in the elevator. It kills all the senses. The same applies to perfumes. If you walk through a big department store, it is horrible. Not very often. If I do, it is to set a statement. When I go out, I like to use it. But I rarely go out anymore. The best perfume of all times? Always the one, that I am working on. It is as it is supposed to be and loving it is just the natural consequence. The most important beauty product a woman has to have? Self-confidence. This is what she brings to the table. This is her. Beauty is the moment, when you are really yourself! It is not about beautiful eyes or a beautiful mouth. Of course, those features help but there are beautiful people who are dreadful and there are not so beautiful people that can be very pretty. It is the charm that counts. How much power do women have? The power of persuasion and creativity. Everything creative is female. You worked with Richard Avendon, Irving Penn. How were they? How was it to work with those famous people? The had passion, they loved their work. They were not professionals. Professionals are boring. 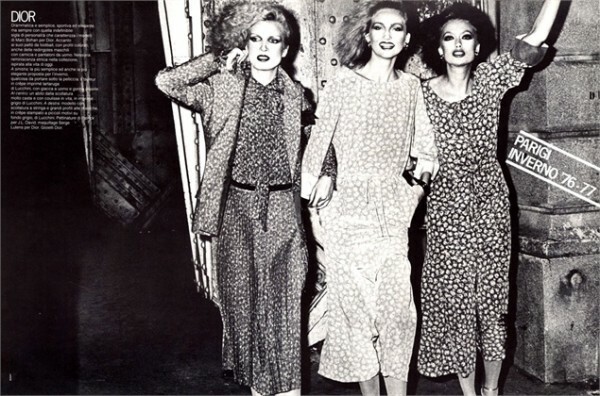 I worked with many considerable people, such as David Bailey, Helmut Newton among many others. All they had in common was, that they were not professionals, they were amateurs. What does confuse you about people from your industry (cosmetics/fragrance)? People that would like to be professionals. As I said, I only like amateurs. Do you have a favourite city? The city where I am in that moment. My brain is my room. I could live tomorrow in Geneva or somewhere else. I don’t care, what I need, I have on me. I just need my little book to take notes and that is it. Life would be the same. You have done many different things in your life, photography, filmmaking, hair styling, perfumery among others. Do you have a favourite phase? No. Each time, it is the same, just in another way. One wish from the fairy? That she turns my pumpkin into a carriage. Thank you very much, Monsieur Lutens! It was such an honour to meet you! 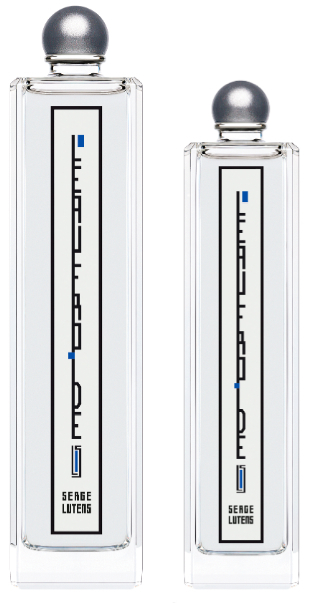 L’Eau Froide, the newest creation of Serge Lutens, is in stores now, 50ml (CHF 108.-) and 100ml (CHF158.-). Composition: Somali incense, musk and aquatic note.